Social skills are not only based on behavior, but also on the child emotions, intellect and ethics. Helping develop your child's social skills will help them succeed in life. Here are ideas to help your child develop those social skills that will last a lifetime. If you have more than one child, you know that each own has a temperament all their own. 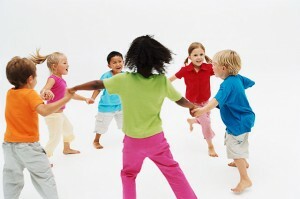 There are those kids that are very verbal and interact with others whenever they get together. On the other hand, you have those that are quiet and more reserved, and just want to play by themselves. Even though your child may be born with a preference to be social or not, much of a person’s social ability to interact appropriately with others is based on what they are taught. You, as their parent, have a wonderful opportunity to help your child thrive in social situations. Helping them to succeed socially will give them confidence and the ability to adapt to situations all throughout their lives. When teaching your child social skills in life, it is important to remember that these skills include many facets. Not only are social skills based on behavior, but also on the child emotions, intellect and ethics. These are all areas that will need to be strengthened as our child grows, so that they will have the ability to interact with others and achieve the goals they set for themselves. Emotions are a part of every day living, and in experiencing these emotions, children will have to learn what is appropriate and what is not. Some emotions are naturally easier to express than others. Most children can express themselves just fine when they are happy and excited. Once a child gets angry, hurt or rejected, they may not be able to express those emotions in a proper manner. These are times when a parent must reaffirm to the child that these feelings are normal, but there is an appropriate way to handle them. If you teach your child the skills they need to cope with these feelings and emotions, they will be able to be resilient and able to handle the hurts they will encounter in life. All kids love to act and perform for their parents. This is a great way to help your child learn the coping skills that they will need for social interaction, whether that interaction is in the home, on the playground, in school, at the restaurant or anywhere else for that matter. When you role-play with your child regarding different scenarios, you give them the confidence to act in an appropriate way. Engage your child in helping to decide what is suitable response or an alternative reaction in a situation that catches them off guard. If they are prepared and have had practice with the correct types of responses, they will have confidence to do the right thing. As you sit at the playground with your four year old, he hands a shovel to a playmate and you are filled with pride as you realize your child has shared with another child without your prompting! This is a great time to reinforce appropriate social skills. When your child comes over, make a point to tell him that you saw what he did, and the praise him for it! The more we point out and praise our children for their exceptional social skills, they more they will want to use them! Children are always looking to the adults in their life for guidance and reassurance. You can use every possible moment as a teaching lesson for children. When you encounter a situation that makes you upset, or you feel rejected it is important to share with your child your feelings and share exactly how you are handling those feelings. 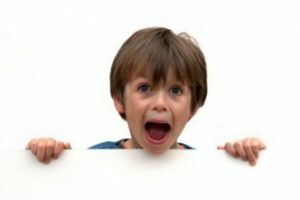 Once your child you modeling the appropriate reactions and responses to situations, they will want to follow you. Children really do want to be like mom and dad! Most people wouldn’t consider listening to be a learned social skill. If you can teach your child to be a great listener, they will have mastered one of the hardest of the social skills. You can teach children how to listen in a fun way. Have your child sit down with you and explain to them that you are going to play a game. Tell them they are going to tell you a story and you are going to repeat it back to them. Also explain to them that once you have completed listening to their story and told it back to them, you will have a turn to tell a story. This engages them listening on both levels. They will be listening to see how well you listened to them, and then they will listen to you so they can tell the story back to you as well as you did! Teaching your child the importance of helping others is a social skill that will benefit not only the person being helped, but also your child. You child will learn that when he helps the young single mother next door carry in the groceries, he will be thanked and appreciated. Not only does the neighbor get a helping hand, but your child’s self-confidence gets a boost also. As your child helps others, not only will his self-confidence be raised, but he will also begin to feel a sense of respect for himself and others. Respect builds self worth and when you feel good about yourself and others, you can interact with many different types of people in many different situations. Unfortunately not all parents are helping their children develop their social skills. There will always be bullies on the playground, or on the school bus. The important social skill in these instances is to teach your child to walk away. For these types of instances, a learned prompt from you will help your child to have the strength to do the right thing. Teach your child to count to ten when they get harassed or bullied and that as they are counting they should also be walking. Walking away that is! Other mental prompts could be for your to create a phrase that your child can bring to mind, “Be the bigger person”, or “He’s not worth losing my privileges”, or even “Mom taught be not to fight”. If you equip your child with the tools that are needed, they will have great social interaction skills. The ‘counting to ten’ trick works really well in many kids. Talking with them about their days is one of the best ways to connect with them and give them a venue to express their emotions. Thanks for posting.